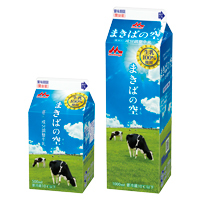 What kind of company is Morinaga Milk? 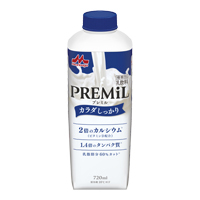 We deliver products formulated for various needs, from our homogenized, sterilized whole milk, "Morinaga Oishii Gyunyu Milk," and our enriched milk, "PREMiL," to special home delivery products. A milk with an original rich taste and smoothness.The gentleness of the steam sterilization process leaves the original delicious taste of the milk unchanged. The straightforward name of this homogenized and sterilized whole milk product expresses our confidence in the deliciousness. A 200ml container of this milk contains condensed nutrients: twice as much calcium and 1.4 times as much protein. Product with 100% raw milk. By adjusting only the fat content, we create a refreshing flavor while keeping the raw milk richness. 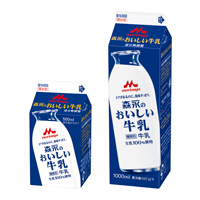 A food for specified health use(FOSHU) that efficiently nourishes the body with calcium, bifidobacteria, iron, and vitamin D. This popular product retains the richness and delicious of whole milk, but with about 43% less fat. This is a special home delivery product. 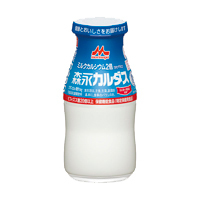 Copyright © MORINAGA MILK INDUSTRY CO.,LTD. All Rights Reserved.